Stockbrokers lobbied hard to be included as eligible institutions able to offer tax-free savings accounts (TFSA) when National Treasury was developing the idea. So far, a few have geared up to offer clients the accounts. We spoke to those across the industry to see what’s available and what may be coming. Afrifocus has come up with an innovative offering, with four options. Three are designed to match three tiers of risk profile: cash savings for low risk, a balanced asset exchange-traded fund (ETF) for medium risk and a growth equities ETF for higher risk. It also has a fourth option in which investors can select eligible ETF products themselves. Stockbrokers’ TFSAs are able only to invest in ETFs which are a portfolio of other assets and generally considered lower risk than direct share investing. There are now about 40 ETFs available, with exposure ranging from the JSE’s Top 40 index to foreign stock and bond markets and global commodities. He says the two poles of Afrifocus’ offering have been the most popular: the cash savings option and the own selection option. Standard Online Share Trading (OST) also went live with a TFSA from day one, and clients can open accounts through OST or through their internet banking site. Standard OST business manager Mark Humphries says all listed ETFs are available for trading through the TFSAs for OST clients. This option would also allow the client access to their TFSA account via its App product. For TFSAs opened through online banking, 14 ETFs are available, with purchases done on the 25th of the month. Clients elect a rand amount and the ETFs they wish to invest in. This provides the client with the ability to have recurring small monthly investments (minimum R250 per transaction) via automatic debit or a one-off lump sum of R30 000. Humphries says even though Standard OST is only planning to start marketing later this month, “we have still been quite overwhelmed by the demand to open accounts”. He expects interest to pick up again before the end of the tax year “when all the service providers start reminding people to use the annual limit if they haven’t already done so”. 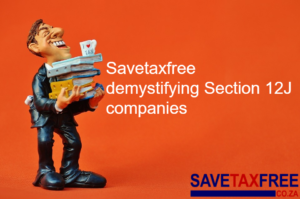 That in fact has been a marked feature of the UK’s experience with its tax-free savings products, according to independent research by Intellidex. Just before the end of tax year product providers launch their marketing campaigns. Thebe Stockbroking’s Kick-Start Plan is based on ETFs but head of research Henry Flint says Thebe is hoping to launch additional tax-free products in due course. The accounts require a minimum initial investment of R1 000. A monthly R10 administration fee is charged plus commission of 0.25% per transaction – a rate below that of traditional stock dealing. The legislation allows every individual to open an account so a family of four can save up to R120 000 a year tax free. IG Markets is planning a major rollout of a core cash equities offering this year. “Only once we have added cash equities can we consider offering the TFSA in South Africa – as then we will have a product set suited to it,” says Kevin Algeo, head of IG South Africa.